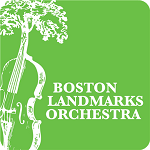 For directions to Landmarks Orchestra venues, please click on the venue. The Hatch Shell is located on the East End of Storrow Drive, not far from the Mass General Hospital. There is no parking on Storrow Drive, however public parking is available at the Boston Common Garage and Charles Circle LAZ Parking Lot next to the Massachusetts Eye and Ear Infirmary. *Note: If you are using a ride sharing service such as Uber, Lyft, or Fasten, please use Beacon St. at Arlington St. as your drop-off point (not Storrow Drive or the Hatch Shell). Drop-off/pick-up at the handicapped drop-off point next to the Hatch Shell is only available for patrons with limited mobility or those utilizing THE RIDE. Take any MBTA Red Line train to the Charles Street/MGH station. Take the footbridge over Storrow Drive to the Charles River side and go West along Storrow Drive. The Hatch Shell is a short walk from here. Alternatively, take any Green Line train to the Arlington Street Station. Walk along the Public Garden/Arlington Street to Beacon Street. Cross over Beacon Street and take the Arthur Fiedler Footbridge over Storrow Drive to the Hatch Shell. First Church in Cambridge is located at the corner of Garden and Mason streets, just across Mason Street from the old Radcliffe campus and just across Garden Street from the historic Cambridge Common. It is right next door to the Sheraton Commander Hotel. Parking is limited, but available spots can usually be found along the residential streets near the church. There are two handicapped parking spaces on Garden Street in front of the church. The closest T stop is Harvard Square (Red Line). For those traveling by T, if you leave the station at the main exit into the heart of Harvard Square, cross Massachusetts Avenue directly across from the station and go right, following the street until the corner with Garden Street. Go left at Garden and stay on that street until you come to the corner of Mason Street. You can also take the Church Street exit out of the Harvard T stop, which is at the corner of Massachusetts Avenue and Church Street. You will already have crossed Massachusetts Avenue underground, so from that exit, go right and follow the same path as above, crossing Church Street and the next corner is Garden Street. Go left there and stay on Garden Street until you come to the corner of Mason Street. From the Arlington Street Station on the Green Line, at the corner of Arlington and Boylston streets, walk north along Arlington St. one block to Newbury Street. Across the street, behind the Taj Hotel, you should see our flags flying at 15 Newbury. Back Bay Garage: The entrance to the Back Bay Garage is on Clarendon Street. From Emmanuel proceed along Newbury Street to Clarendon, turn left onto Clarendon, and cross Boylston Street. The entrance to the garage is on the left, opposite Trinity Church. Boston Common Garage: The entrance to the Garage is on Charles St. on the western edge of the Boston Common. From its pavilion, walk west across the Public Garden to Arlington Street, take a left, and walk around the Taj Hotel to 15 Newbury Street. Their evening and weekend rate is $11. From the North (I-95 or I-93): If you are heading south on I-93, follow I-93 into Boston then follow the I-93 instructions below. If you are heading south on I-95, take the I-93 South exit (exit 37) then follow the instructions from I-93. Alternatively, take the I-90 East exit (Massachusetts Turnpike) from I-95 then follow the instructions from I-90. From the South (I-95 or I-93): If you are heading north on I-93, follow I-93 into Boston then follow the I-93 instructions below. If you are heading north on I-95, take the I-93 North exit then follow the instructions from I-93. Alternatively, take the I-90 East exit from I-95 then follow the instructions from I-90. From the West (I-90) (Mass Turnpike): Follow I-90 east to the Cambridge/Brighton exit (exit 18). Following the signs to Cambridge, cross the River Street Bridge, and continue straight about 1 mile to Central Square. Turn right onto Massachusetts Avenue and follow Massachusetts Avenue for about a half mile. The main entrance to MIT will be on your left. If you cross the river again, you have gone too far. From Route I-93: From I-93, take exit 26, and follow the signs to Back Bay along Storrow Drive West, approximately 1.5 miles, to the exit for Route 2A. The exit will be on the left, just before the Harvard Bridge (more appropriately called the Massachusetts Avenue Bridge). The Charles River will be on your right. As you cross the bridge, you will be looking at MIT – the Great Dome and academic facilities are on the right, the dormitories and athletic facilities are on the left. In addition to street parking, there may be limited parking available at the MIT-owned West Garage at 125 Vassar Street. The nearest private parking garage is located at 80 Landsdowne Street. From the North: Via I-93 and the Tobin Bridge: Proceed to the Storrow Drive exit (follow ramp signs carefully). Go west on Storrow Drive to exit for “Copley Square/Back Bay” (a left exit.) At the end of the ramp, at a stoplight, turn left onto Beacon Street, then take a quick right onto Arlington St. Go three blocks to Newbury Street (Taj Hotel on the corner), and then take a right onto Newbury St. One block further on the right you will find Church of the Covenant. Via Massachusetts Avenue: From Cambridge, travel across the Harvard Bridge. Go three blocks to Commonwealth Avenue, then turn left. Go eight blocks to Arlington Str. (where Commonwealth Ave. ends at the Public Garden); turn right onto Arlington. Go one block and turn right onto Newbury St. with the Taj Hotel on the corner. One block further on the right you will find Church of the Covenant. From the South: Via the Southeast Expressway: Take exit 18, staying in the middle lane once you exit onto Frontage Rd. At the third light turn left. This is Berkeley Street. Continue on, taking a slight jog to the right as it crosses Tremont. At that point you’ll see Covenant’s spire 6-8 blocks ahead on the left as you come to Newbury St.
From the West: Via Storrow Drive: Go East on Storrow Drive to “Downtown” exit, which is in the Storrow Drive tunnel. The ramp curves to the right. At the light at its end, turn left onto Beacon Street, then take a quick right onto Arlington St.. Continue for three blocks to Newbury St. with the Taj Hotel onthe right at the corner); Turn right onto Newbury St. One block further on the right you will find Church of the Covenant. Massachusetts Turnpike (I-90): Go East to exit 22, “Prudential Ctr/Copley Square.” Stay in the right lane (for Copley), curving right as you exit the tunnel. Go straight ahead through two lights, then turn left at the third light onto Berkeley St. Travel three blocks to the church, at the corner of Newbury and Berkeley St.
Take any Green Line train to either the Arlington or Copley Square stations; then follow the map above approximately 2 blocks to the church. Parking is extremely limited on the streets near the church (all spaces are metered). Nearby garages are on Clarendon Street, just beyond Boylston and just beyond Stuart; and there are outdoor lots on Newbury at Dartmouth. From Storrow Drive: Exit at Cambridge Street and follow Cambridge Street over the bridge. Make a left onto Harvard Ave. At your next set of lights, take a right onto Brighton Ave. At the next set of lights, take a left onto Allston Street. The Club is located at 105 Allston Street on your right. From the Mass Pike (East Bound): Exit at Allston/Cambridge via exit number 18. Stay left towards Allston/Brighton. Follow Cambridge Street over the bridge and make a left onto Harvard Ave. At your next set of lights, take a right onto Brighton Ave. At the next set of lights, take a left onto Allston Street. The Club is located at 105 Allston Street on your right. From the Mass Pike (West Bound): Exit at Allston/Cambridge via exit number 20. Stay left towards Allston/Brighton. Follow Cambridge Street over the bridge and make a left onto Harvard Ave. At your next set of lights, take a right onto Brighton Ave. At the next set of lights, take a left onto Allston Street. The Club is located at 105 Allston Street on your right. Take the Green Line (B Boston College) outbound to the Allston Street stop. Walk down Allston Street, the Club is at 105 Allston Street on your left. By bus, take the 57 or 66 to Allston Street. Walk up Allston Street, the Club is at 105 Allston Street on your right. Directions from Boston/North Shore: Take Route 93 South to Storrow Drive. Take the Fenway exit. Follow Outbound/Riverway signs to Boylston Street (taking a right off the ramp). Boylston St. will merge onto Brookline Ave. Follow Brookline Ave. to the Riverway/Jamaica Way intersection. Turn left onto the Riverway (this will turn into the Jamaica Way). You will go through the intersection with Perkins Street (Max Warburg Sq.) and Jamaica Pond will appear on your right. Directions from West (Rte. 128/ I-95): Take Rte. 128/ I-95 to Rte. 9 towards Boston. You will eventually pass the Chestnut Hill Mall on your left. Follow Rte. 9 until you reach a right for Jamaicaway. Take that right and follow Jamaicaway. Jamaica Pond will appear on your right. Directions from Boston/South Shore: Take Rte. 3/ I-93 to exit 11. Granite Ave/Ashmont. Follow Granite Ave north to second traffic light, then turn left onto Rte. 203. Take Route 203 westbound towards Arnold Arboretum. Continue for approximately 1 mile onto Jamaicaway. Approximately 1/4 mile after Jamaica Pond Boathouse, you will see entrance to Pinebank area on L, just before intersection at Perkins Street. Jamaica Pond is a five-minute walk up Pond St from Centre St; you can take the MBTA #39 bus route. (Which goes between Forest Hills on the Orange Line and Back Bay Station on the Orange Line). St. John’s Church is located in the Sumner Hill section of Jamaica Plain, at the intersection of Revere Street and Roanoke Avenue. We are accessible by MBTA via the Orange Line (Green Street Station) as well as the # 39 bus from Copley Square. Driving instructions are also included below. The church does not have a parking lot, but there is street parking on Revere and Roanoake, or on other adjacent streets. A Note on GPS and Mapping: BEWARE! Both Roanoke Avenue and Revere Street are one-way in the same direction, and if you use the church address, One Roanoke Avenue, your GPS or mapping application (e.g., Google Maps, Mapquest) will take you to the intersection below the church, and you will not be able to turn into either Roanoke Avenue or Revere Street. Instead, use the address 7 Revere Street, and that will direct you to the section of Revere Street that the Church is on. Step-by-step instructions are also included below. From Boston: Take the Jamaicaway (Route1) from Longwood Circle towards JP. At the JP Pond Boathouse (on the right), turn left onto Pond Street (Pond Street is the 4th traffic light after entering the Jamaicaway at Longwood Circle). At the end of Pond Street, turn right onto Centre Street, and go three blocks to Seaverns Avenue (between City Feed and the Purple Cactus). Turn left on Seaverns and, at the fork in the road, bear right onto Alveston Street, and then take the first left onto Revere Street. The church is at the end of the block on the right. From West of Boston: Take Route 9 in the direction of Brookline/Boston. Take the exit for the Jamaicaway (South) and follow the directions above. From South of Boston: Take the Southeast Expressway (I-93 North) to Exit 11 (Granite Avenue, Route 203). Turn left onto Gallivan Blvd/Rte. 203, and follow the signs for Rte. 203 for 3.5 miles to N Shea Circle (203 is Gallivan Blvd. and then becomes Morton Street just before Blue Hill Avenue). At Shea Circle (Franklin Park is on your right), take the third exit out of the rotary onto the access road (Arborway) beside the Monsignor William J. Casey Hwy overpass. The first light is Washington Street and the Forest Hills MBTA station is to your left beyond the overpass. Go across Washington past the pedestrian crosswalk light to the light at South Street and turn right. Follow South for 0.6 miles to the monument, and bear right onto Centre Street (First Church is on your left and the Loring-Greenough House is on your right). The first right turn past the Loring-Greenough House is Greenough Street (If you go past the Dunkin’ Donuts, you’ve missed Greenough Street!). Go 0.1 mile on Greenough to Alveston Street and turn left. Go just a few hundred feet and take the first right onto Roanoke Avenue or a little further and take the second right onto Revere Street. The church is between these streets, and there is parking on both by the church. Orange Line: Take the Orange Line to Green Street Station. Exit the subway station and walk up Green Street in the same direction as the traffic. At the traffic light at the intersection of Green and Elm Streets, turn left and walk along Elm Street up Sumner Hill, passing the red brick Central Congregational Church on your right. St. John’s brown puddingstone Gothic revival building is at the top of the hill in front of you. #39 Bus: The #39 bus begins at Back Bay Station and picks up passengers at Copley Square and along Huntington Avenue. Take the bus to the stop at the intersection of Centre and Green Streets in JP (at the First Baptist Church on Centre Street). Walk two blocks up Centre Street in the same direction the bus travels and turn left on Seaverns Avenue (between City Feed and the Purple Cactus). Two blocks ahead the road forks; take the right fork (Alveston Street) up the hill. Take the first left onto Revere Street. St. John’s is at the end of the block on the right. From North (I-93): Take “Sullivan Square/Charlestown” exit (#28). Go straight to the set of traffic lights. At rotary, turn onto Rutherford Avenue and drive past Bunker Hill Community College. At second traffic light, turn left onto Chelsea Street. Follow directions below. From North (RTE. 1S): Follow Rte. 1S over Tobin Bridge. Take Charlestown/Somerville exit. At traffic light, turn right onto Rutherford Avenue. At traffic light, turn left onto Chelsea Street. Follow directions below. From South (I-93): Take the I-93 North tunnel. Stay in the right lane. Take exit (#23) (Govt. Center/Aquarium). After exit, follow the sign for North Station. Proceed straight onto N. Washington Street and across the Bridge. Turn right at end of the bridge onto Chelsea Street. Follow directions below. From West: Take Massachusetts Turnpike (I-90) to the end. Take 1-93N and follow “From South” directions. MBTA Water Shuttle: Frequent service runs daily from Long Wharf (near the New England Aquarium). From the Water Shuttle’s Charlestown pier, walk down to the end of the pier and take a left into the Charlestown Navy Yard. The Museum is the building on the left as you enter the Navy Yard.